The Lagos State chapter of the Peoples Democratic Party on Thursday said it would welcome Gov . Akinwunmi Ambode into its fold if he decided to dump the All Progressives Congress . The Publicity Secretary of the party , Mr. Taofeek Gani , made the assertion in an interview with the News Agency of Nigeria in Lagos . Gani spoke following reports that Mr. Jide Sanwo – Olu , a former Commissioner for Training and Establishments in the state , had been adopted by the APC leaders to succeed Ambode . The APC chairman in Lagos State, Alhaji Tunde Balogun , had told newsmen on Wednesday that the governorship ticket of the party was open to all aspirants . NAN reports that the former Commissioner for Works , Dr . Obafemi Hamzat , is another aspirant seeking the job of Ambode with Sanwo – Olu . The PDP spokesman said that the party would be glad to receive Ambode into its fold if he decided to leave APC for whatever reason . Gani said , “ Any forward -looking party would not have rejected its main opponent joining it , especially a big personality like Ambode . 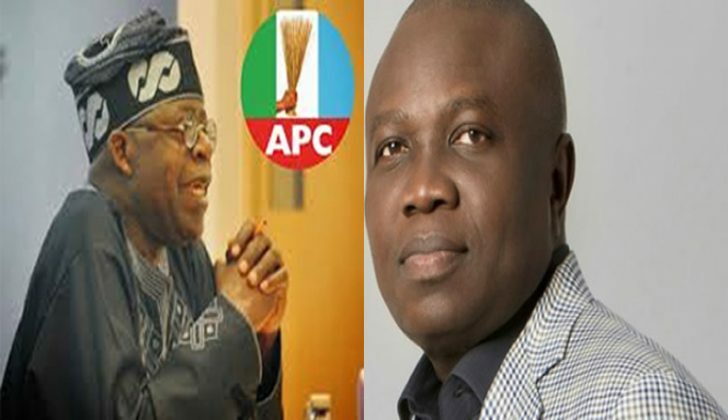 “ We are ready to welcome him (Ambode ) to our party if he decides to join for any reason . We are very ready to accept him if he decides to join us . “ You see PDP is a party for all, so far value will be added . We cannot turn down our opponents , especially a big personality like Ambode . NAN reports Chief Deji Doherty and Mr. Jimi Agbaje are among those who have picked the PDP nomination forms for the governorship ticket .